If I were to list my favorite months of the year, February would not be among them. The best thing I can say about February is that the month is short, and the days are getting longer. February weather can be tedious, and there just aren’t that many fun things to do except maybe watch the Winter Olympics. There are simple pleasures out there, but you have to search for them. For me, one of these pleasures is cross-country skiing. All you need is some low tech skis, boots and poles and four or more inches of snow. It is kind of like riding a bike- you never really forget how. After our last snow I decided it was time to dig out my skis that have been hidden in the back corner of my shed, and look for my boots. Part of the fun is the ritual. I enjoy getting out the equipment, pulling on my heavy old wool ski socks that I have worn for many years, and then pulling on the boots, and layering up with a turtleneck and sweatshirts. While Ralph Steyer Park is my favorite place to photograph kids sledding and snow boarding, it’s just too steep and too much work for cross-country skiing. 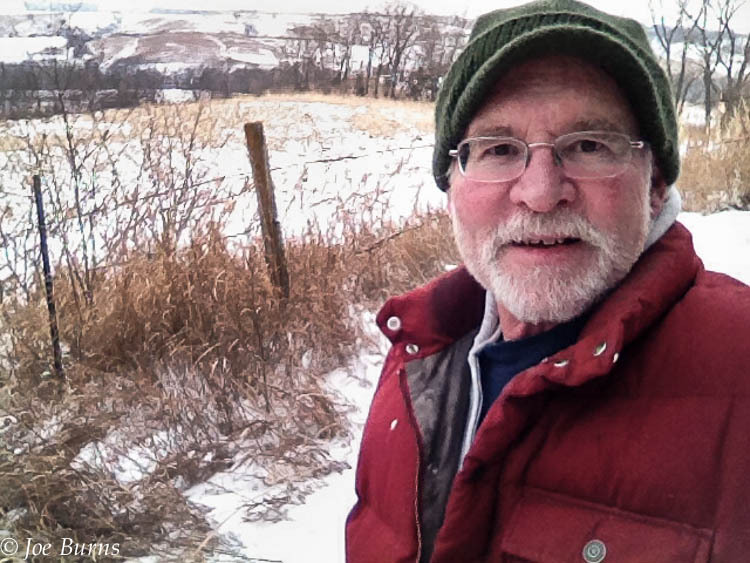 I prefer the trails and rolling terrain at Black Elk Neihardt Park. While some may think skiing is a lot of work, it doesn’t have to be. You can travel fast or slow, up or down hill, and go where you will. It is great exercise. By Wednesday the snow was getting soft, and it was time to look for another outdoor activity. I didn’t have to look far. 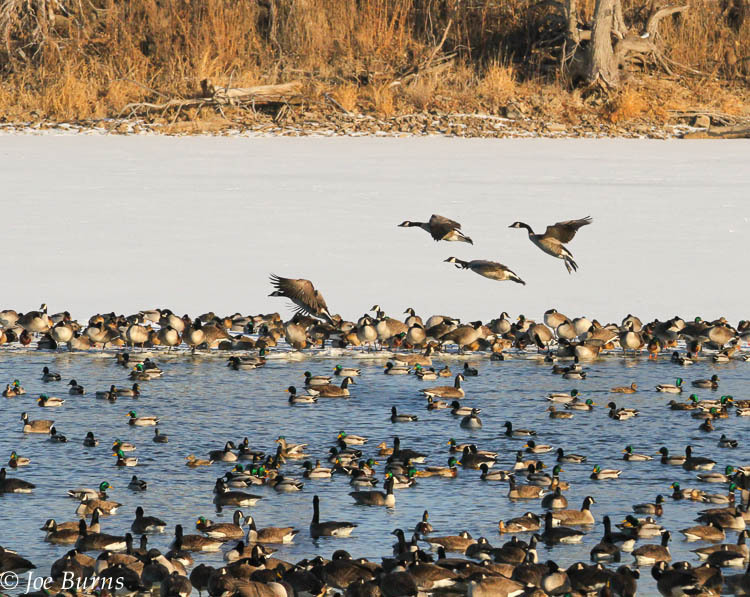 Just across the river at DeSoto N.W.R., thousands of geese and ducks are flocking to an open patch of water near the Bob Starr Wildlife Overlook. As the weather warms up the numbers will continue to increase, and eagles are sure to follow. The refuge is open every day from sunrise to sunset, and there are great opportunities for photos. Another enjoyable activity on a cold February day is just taking the time to sit down and read. Since we no longer have a bookstore in Blair, I stopped by The Bookworm book store in Countryside Village in Omaha. While I have been known to buy books and camera gear online, it’s a much more satisfying experience interacting with a live sales person rather than a computer screen. I could save a buck or two by ordering online, but I would miss out on the fun of browsing in a brick-and-mortar store. I would also hate to see the few remaining shops disappear. During my visit I bought a murder mystery by World Herald photographer and first time novelist Kent Sievers. Little Man is about a homeless man who is down on his luck and living in a doghouse in a vacant lot. The character is based on – or at least inspired by a man Sievers met years ago and featured in a photo essay titled, “Life on Omaha Streets.” If you are familiar with the area north of Creighton University and the new TD Ameritrade baseball park, you will recognize the landmarks and street names. Fortunately the grizzly murders in the novel are pure fiction, but the plight and desperation of the down and out and mentally ill who live on the street and look for comfort in homeless shelters and soup kitchens is real. I have always admired Kent Sievers’ work as a photographer. He has a knack for making compelling feature photos, and now and he shows promise as a novelist as well. I am also reading The Swan Gondola by Timothy Schaffert because I have a fascination with the 1898 Omaha Trans-Mississippi International Exposition. My grandfather helped to install the electric lights and build those plaster of paris and horsehair palaces that serve as the backdrop for this story. I will save the discussion of The Swan Gondola and Omaha’s world fair for a future column.